Kitchenette with disposer, dishwasher, electric range, refrigerator, dishes, cookware, coffee maker, toaster & more. 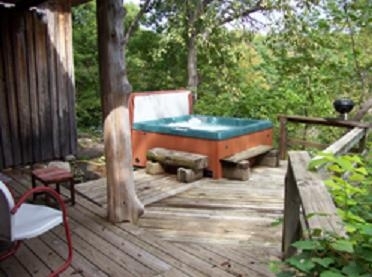 Private hot tub on the deck overlooking the lake. Recently renovated with a new bathroom suite.